Mother’s day is 8 days away. Have you gotten your mom a gift yet? I always have a hard time finding the perfect gift for mommy dearest. I mean, what do you give to the woman who has it all? As much as I want to say, unconditional love, when it comes to the woman who loved and cared for me my entire life, giving her a gift is the least I can do. At the end of the day, it’s a small but sweet gesture that’ll surely put a smile on her face, especially on mother’s day. My mom always tells us not to buy her any more stuff because she has too many of everything already, so hitting the mall to scout for her gift wasn’t an option. I went online instead and checked out Gifted.PH–the first online gift certificate retail website in the Philippines where you can shop gift certificates from over 50 of Manila’s well-loved local and international establishments. Each gift certificate comes with a customized greeting card and recommended gift item, adding a personal touch to a typically generic gift certificate. So what did I end up getting for my mom? She’s always so busy with work and making sure everything is in order at home that I thought a gift certificate from Makati Shangri-la Hotel would be perfect. Time for her to take a break and be the one to be taken care of. It’s super easy and convenient to shop at Gifted.PH. 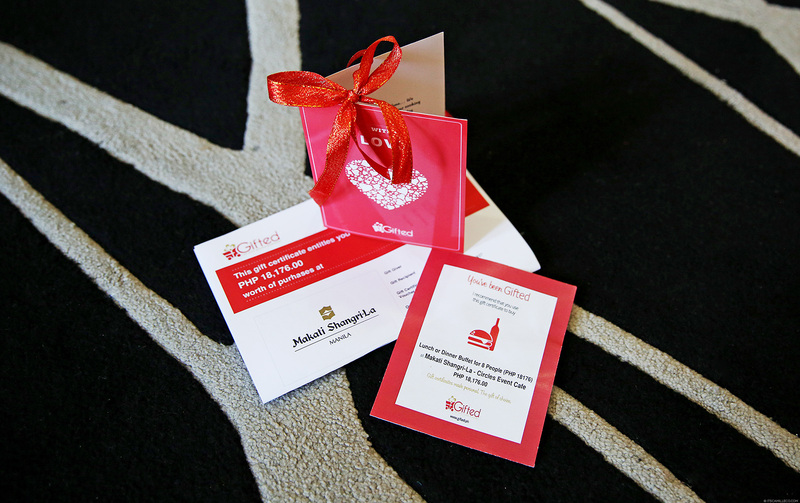 All you have to do is choose a gift certificate to send to your loved one, select a design for the greeting card that comes with it, input your message to be written on the card and recommend a gift item for the recipient to use his/her GC on. You can then have the GC sent to your recipient for free via email for him/her to print and present to the store, or you can have the GC shipped in a cute gift box. 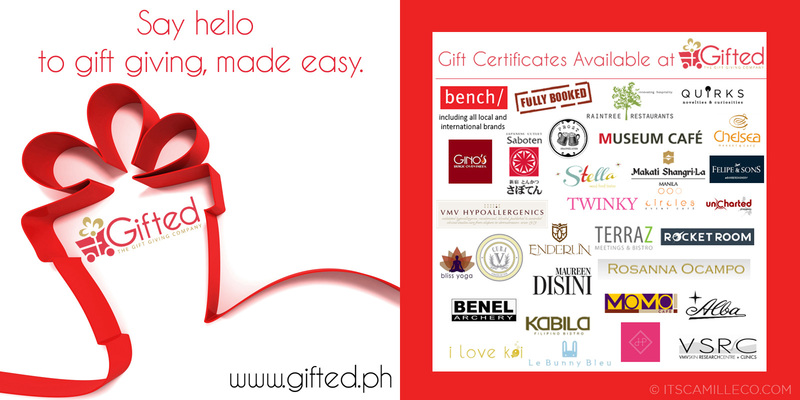 If none of the brands listed on Gifted.PH catches your eye, you can also send a gift certificate for money, which is essentially the gift of money deposited into your recipient’s bank account. This way, your recipient gets to decide how to spend the money–may it be for a new gadget, a special gown, a short course or a trip abroad. It’s sort of like wiring money, except Gifted.PH makes it a bit more personalized through its GC + greeting card package. Isn’t Gifted.PH just the best? Gift-giving has never been easier! Shop for your mom this Mother’s day too! Know more about Gifted.PH by following them on Facebook, Twitter and Instagram. You just gave me another brilliant idea about gift giving! The where to and how to has been so easy now. So convenient! My pleasure! Hope she likes it! Your mom is very lucky Miss Camille! :) She has everything she wants, I assume. Not all moms can experience that. Above all the tangible things, I think the best gift I could give to my mom is to spend that day with her in a place where she could relax so much and forget about the stress in business. That sounds lovely! I bet you’re mom would love that! I always prepare breakfast, lunch and dinner for mother’s day but I think a little staycation won’t hurt too. My busy mom would need one. She’ll love that for sure!